CALGARY, Alberta – July 12, 2017 There is a good opportunity currently available to Canadian real estate investors who wish to buy a house in Alberta, where Foreclosures in Alberta up about 25%. You will discover many excellent bargains on Alberta pre-foreclosures. If you’re looking to invest in the real estate market, pre-foreclosures in Alberta will offer you a wide array of properties at basement bargain prices. Foreclosures are on the rise, up by about 25% annually over the past two years. Statistics from the province show a total of 5,746 properties were foreclosed on between April 1, 2016 and March 31, 2017. Of those, 2,277 were in Calgary and 2,523 were in Edmonton. Giving away Canada’s Real Estate top wealth building, Alberta foreclosure, incredible million dollar secrets, techniques and strategies at two events in Edmonton and Calgary-Alberta. 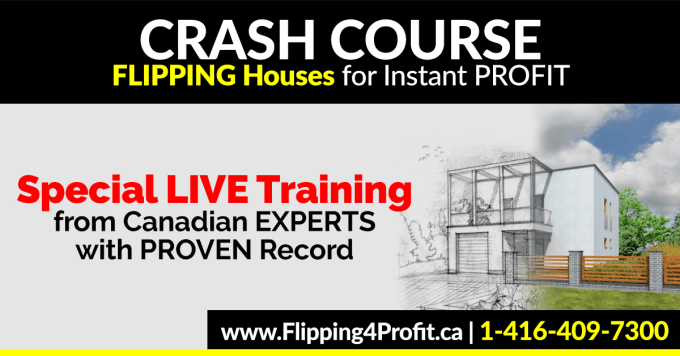 Get your tickets for the live training at http://www.Flipping4Profit.ca. 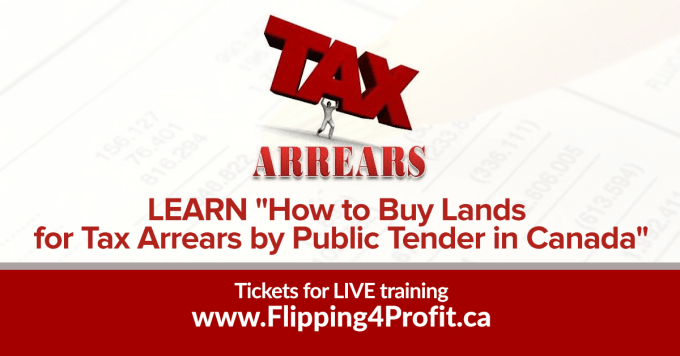 In this Alberta foreclosure Real Estate Live training seminar, you will learn top ten ways to find deep discounted Alberta real estate deals. Along with the strategies mentioned above, you will also learn the process to utilize other people’s money for No Money Down. Gain knowledge on the many ways which you can find Canadian private hard money lenders. Find out the method which can be used to utilize Canadian financing to finance No Money Down deals. Last but not least, discover the techniques to find pennies on a dollar deep discounted property from the comfort of your home or office. These 2 great events are eye openers for Virgin Real Estate Investors: If you have never invested in real estate, get started when the market is ripe for the picking. No money? No credit? No problem! You’ll see exactly how our students have become financially free by using our proven methods. Experienced Canadian Real Estate Investors will learn innovative great techniques and strategies. They will find out how to move up to the phenomenal income potential in our method of investing. 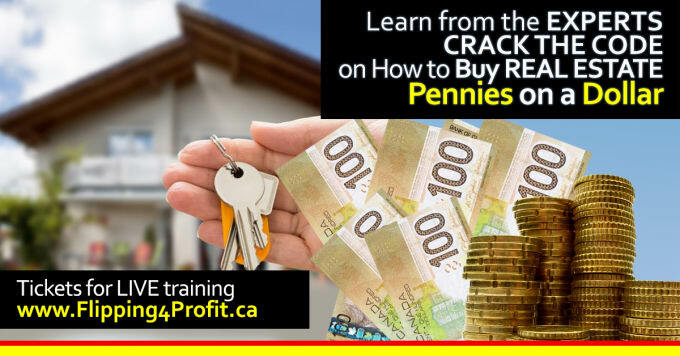 Get proven Canadian strategies that take you from your current income to the next level you desire and put you in a whole new money-making league. Canadian Real Estate Professionals have double edge benefits by attending both events too; now is the time for you to make more money in your deals. See how you can earn more than a commission and massively increase your net worth by getting into the action yourself. We have been training Canadian creative Real Estate Investment strategies, techniques since 1993 successfully in small groups only. Notice is hereby given that, under the provisions of the Municipal Government Act, the Village of Foremost will offer for sale, by public auction, in the Council Chambers of the Village Office, Foremost, Alberta, on Monday, June 26, 2017, at 10:00 a.m.
of the subject land for any intended use by the Purchaser. No bid will be accepted where the bidder attempts to attach conditions precedent to the sale of any parcel. No terms and conditions of sale will be considered other than those specified by the Village. No further information is available at the auction regarding the lands to be sold. The Village of Foremost may, after the public auction, become the owner of any parcel of land that is not sold at the public auction. Cash, G.S.T. may apply on properties sold at the public auction. Dated at Foremost, Alberta, May 15, 2017. Kelly Calhoun, CLGM, Municipal Administrator. Alberta Foreclosure and how it works? No matter who you are, if you are in the process of a mortgage that has defaulted, you need to know the process of Foreclosure in Alberta. Alberta foreclosure is about the legal steps that a Bank or a lender takes to recover arrears and principal on mortgage loan that is in default. 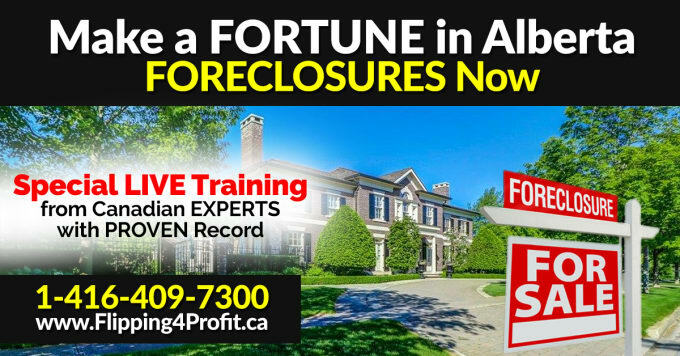 If you need foreclosure help in Alberta please call 1-416-409-7300. We have been serving Canadians in need since 1981. In Alberta the Master in Chambers of the Court of Queen's Bench of Alberta, which isn't the case in the rest of the provinces. They can also decide who the property is sold to and for what price.